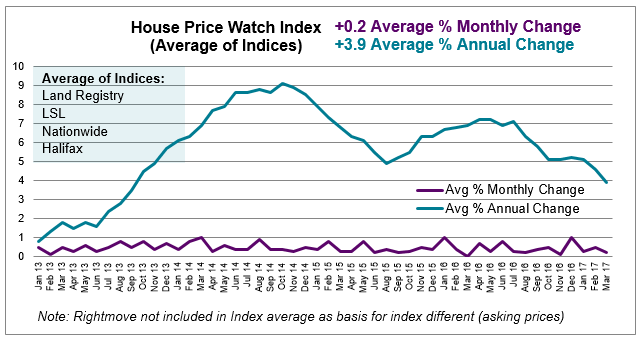 April 2017 House Price Watch indicates that house prices are up on average 0.2% in the past month while average annual house price growth slowed further to 3.9% in the past year; the lowest average annual rate of house price growth since September 2013. 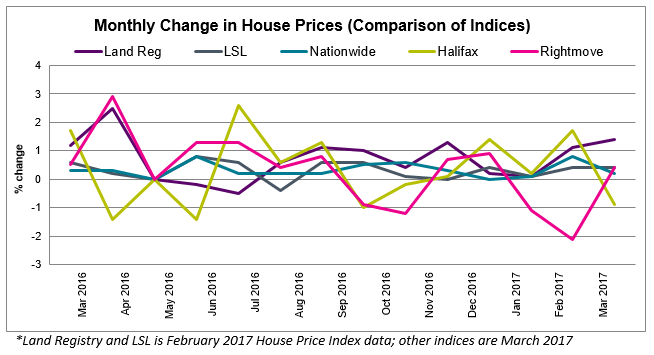 Halifax and Nationwide indices reporting March show no growth or negative growth in monthly house prices: 0.0% Halifax, -0.3% Nationwide, while LSL and Land Registry (ONS) indices reporting February show a rise in house prices: 0.6% LSL, 0.6% Land Registry. 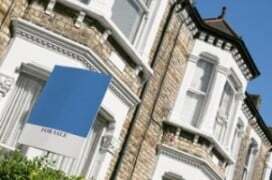 Rightmove report a rise of 1.3% in asking prices in March. Similarly, mortgage approvals for house purchases, a leading indicator of completed house sales, fell by 1% between January and February to 68,300. (Bank of England). RICS March residential market survey indicates new buyer enquiries and sales are flat and new sales instructions have dropped further in March leaving the stock of homes available for sale at a record-low. 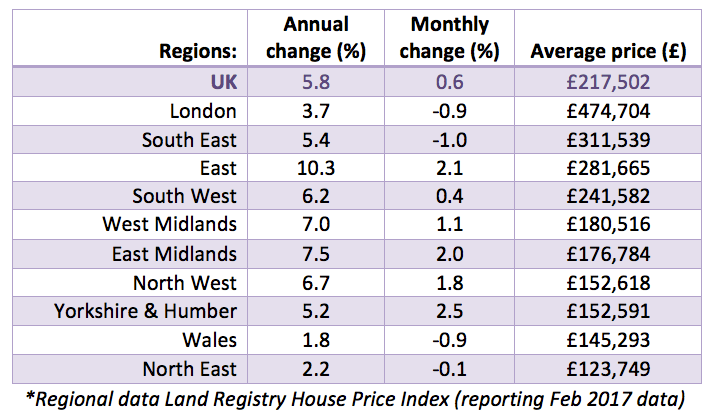 Regionally, the East of England and Midlands are experiencing the biggest rise in annual house price growth, while London, the North East and Wales are experiencing the lowest rates of annual house price growth.